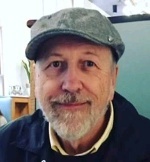 Posted on April 21, 2018 by Robert Tuomi wrote in Festival News. It has 0 Comment. 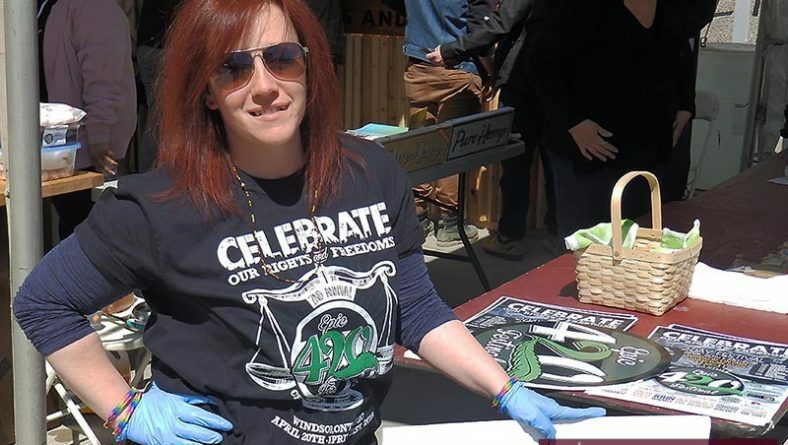 Organizers of this year’s second annual 420 Festival in Windsor, a pro-cannabis rally, are talking of it being better and busier than last year’s inaugural effort. They also expect next year’s, which should be at a time of legalized recreational marijuana, to be even grander. In the illicit grass sub-culture, April 20 – expressed as 420 – is the day to protest and celebrate cannabis use. It is actually a misnomer. Says the Urban Dictionary, the term can be traced to 1971 and five students at a high school in San Rafael, California. They’d meet at 4:20pm at the school’s Louis Pasteur statue with the sole intent of smoking a few joints. Over the years the three digits became code to signify all manner of Ganga use, a preoccupation which continues to expand and which brought Mrs. Fudgemaker to the downtown Charles Clark Square for the Rose City’s two day Festival. Sudbury based vendor, Mrs. Fudgemaker, talks up her product made with bud butter to a 420 Fest Windsor visitor at Charles Clark Square on Friday, April 20, 2018. Photo by Robert Tuomi / Eyes On Windsor. The missus, from Sudbury, is one of many vendors in town for the event. 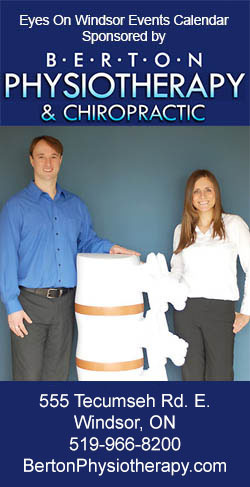 Others represented cannabis cafes, locally and from Toronto, and other sellers of marijuana accessories. Mrs. Fudgemaker uses 100% cannabis bud butter in her packaged sweets. Although currently they are basically illegal, the distant-fudge-maker expects edible cannabis products to be green-lighted about a year after recreational marijuana becomes legal. 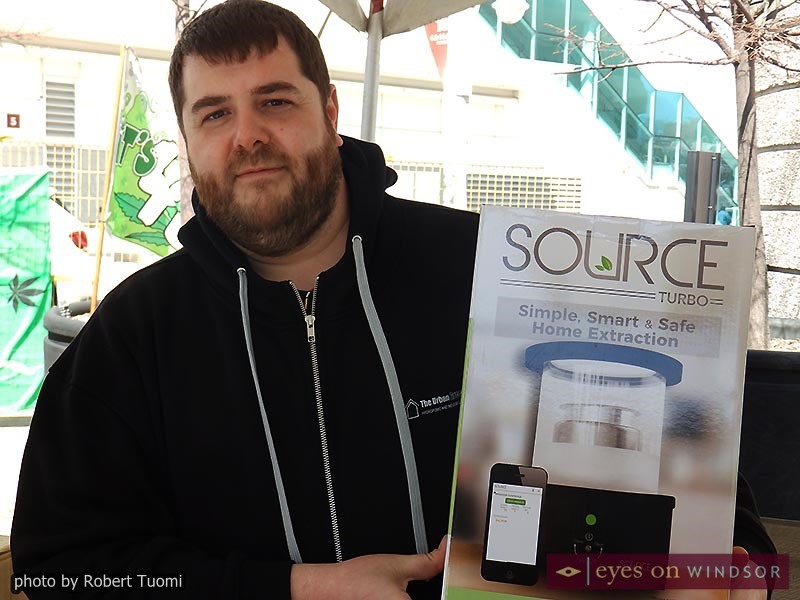 James Marcous, of Windsor’s Urban Greenhouse, with a product useful for personal cannabis growing during 420 Fest Windsor at Charles Clark Square on April 20, 2018. 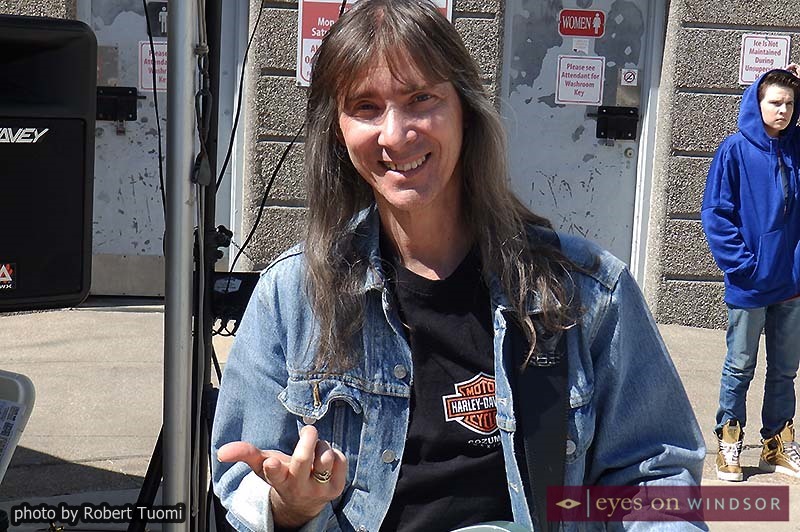 Photo by Robert Tuomi / Eyes On Windsor. James Marcous, of Windsor’s Urban Greenhouse, a vendor of various garden supplies, filled his stand with a selection of hydroponic and other gardening tools ideal for personal growing. Attracted by the popularity of home-raised cannabis he had put together a tent package with everything needed to cultivate the weed under a protective canopy. It retails for about $700. Although Clark Square was filled with vendors, the event also included speakers and music. 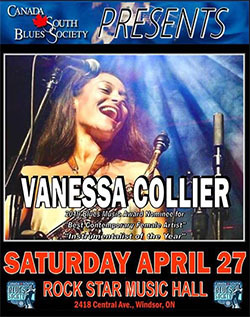 Some big name local bands were invited including famed blues outfit the 519 Band, popular 1960’s rock and rollers, British Beat 66, and classic rock purveyors the Smokin’ Purple Monkeys. Smokin’ Purple Monkey Gang band leader Michael Pindus shown just before performing at the second annual Windsor 420 Fest at Charles Clark Square on Friday, April 20, 2018. Photo by Robert Tuomi / Eyes On Windsor. Monkey founder Michael Pindus told Eyes on Windsor about the importance to local musicians of gigs like the Festival. Pindus, who founded the group in 2010 and is its last original member, says that over the years the number of local live venues has almost dried up making it harder for groups to find audiences. With less events, the music business has become mostly a hobby. 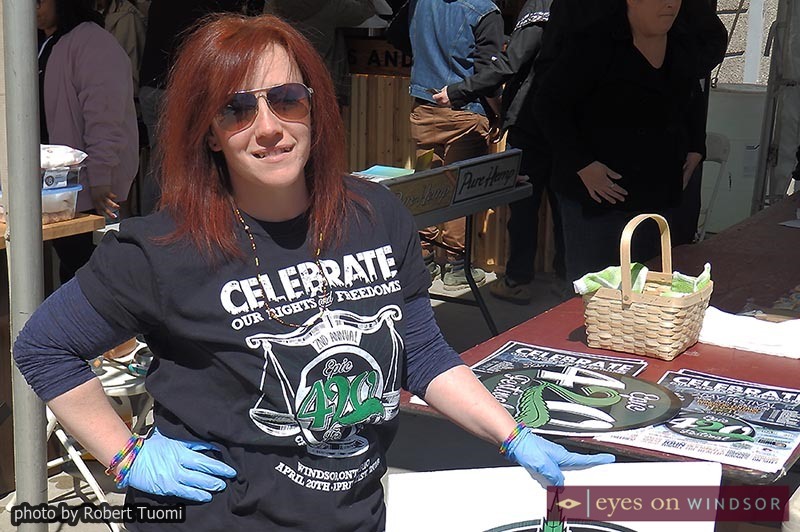 One of the reasons Festival organizers, like Tiffany Hebert, see a bright future for their gathering is not only the expected recreational Mary Jane legalization but also the growing use of medical pot. Many in the city, she says, are turning from what she calls “harmful pills,” prescription medications, to using marijuana to treat various ailments. Mrs. Fudgemaker certainly agrees. She sees her offerings as useful in the treatment of such pain generating afflictions as arthritis, migraines, anxiety and many others. Featured speakers include Sam Mellace, a medical marijuana user and rights advocate, John Turmel, a long-time fighter for legalization and Paul Hartman, a cannabis user and the brother of late comedian Phil Hartman. 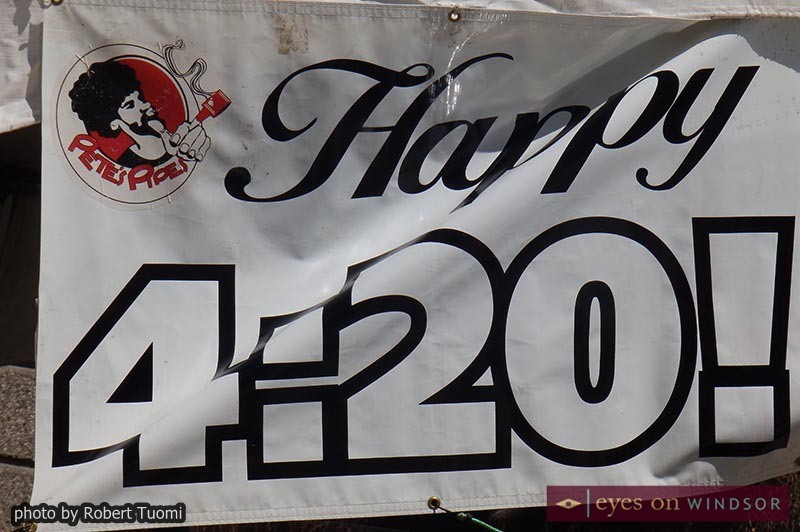 Signage from Pete’s Pipes wishing a happy 420 during 420 Fest Windsor at Charles Clark Square on April 20, 2018. 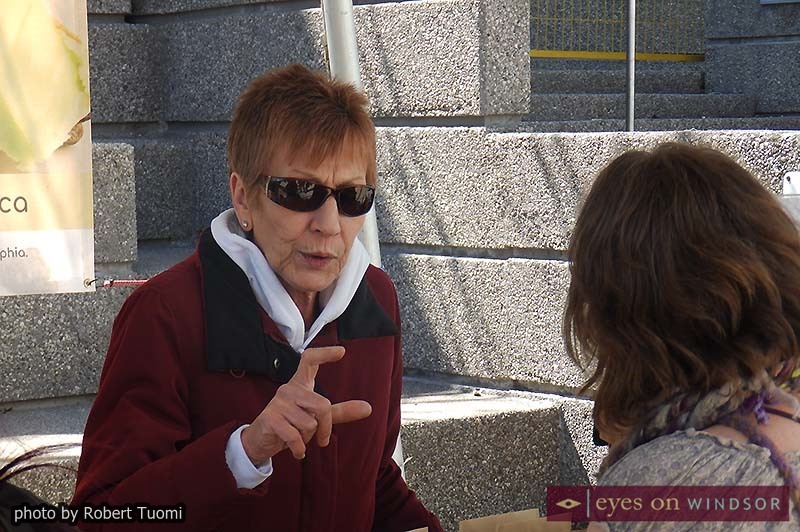 Photo by Robert Tuomi / Eyes On Windsor. Admission is $5. Only those 18 and older will be allowed in. The event takes place on April 20 & 21, 2018. 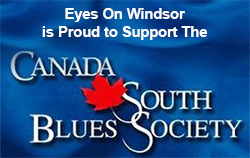 More details about 420 Fest Windsor can be found on the Eyes On Windsor Community Events Calendar.